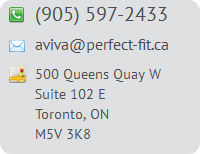 Ask Aviva a question using the form below. Please ensure you fill out all of the fields so that she can get back to you as efficiently as possible. Typical response time is within 24 hours.